Crayons first came in 1644 from France. It means that crayons are nearly 400 years old. 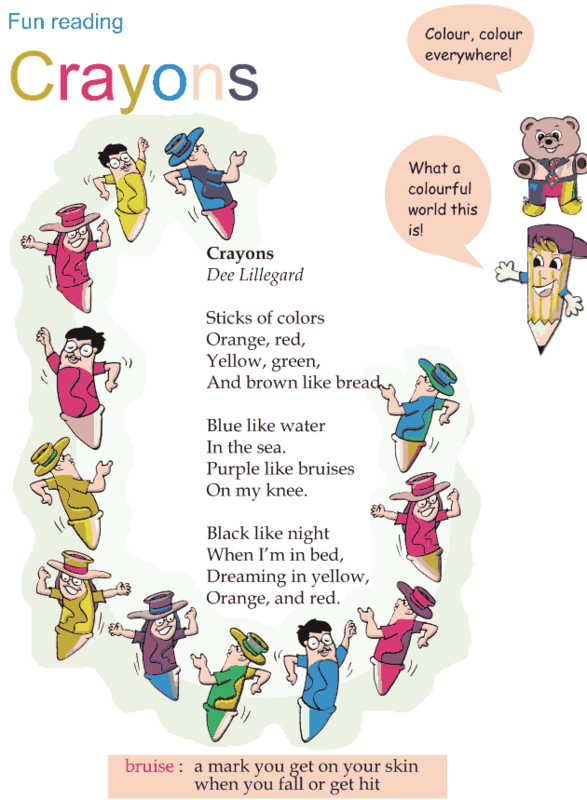 Let’s read this beautiful poem ‘Crayons’ by Dee Lillegard.